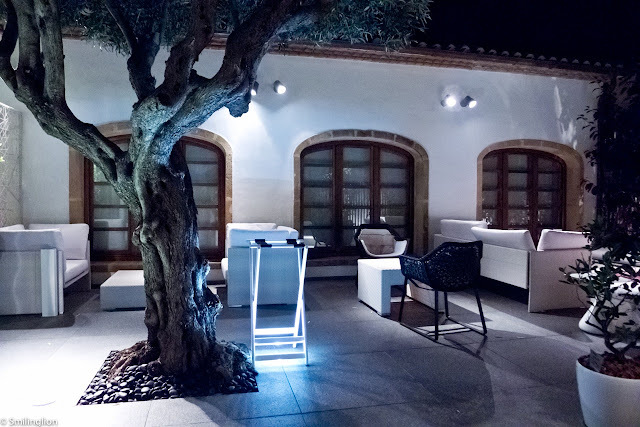 Spain's newest three Michelin star restaurant is set in a residential area along the main coastal road in the seaside town of Denia. Alongside the low rise low cost housing estates and beach houses, it stands out as a whitewashed corner house with high walls which ensure the privacy of the inhabitants inside. The white compound with its moorish-style tower is in keeping with the historical architectural character of the coastal region of Alicante. Behind these walls is an oasis of calm and an ultra chic and stylish garden patio. 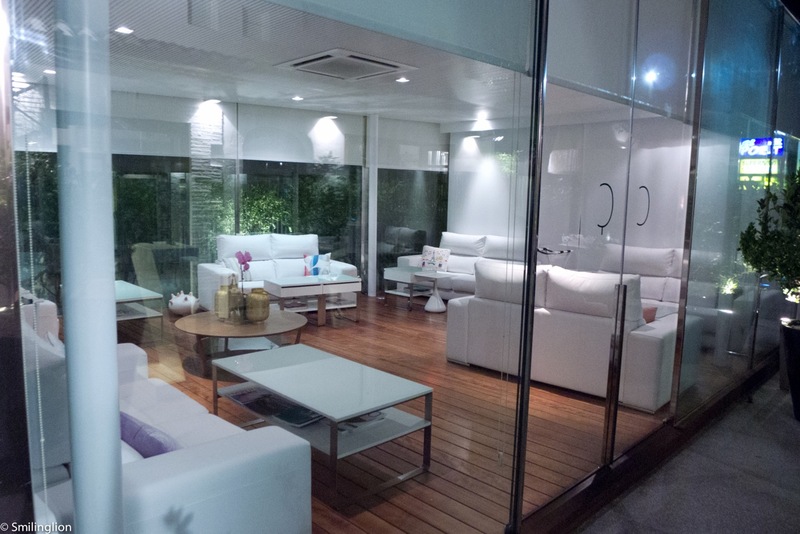 In the summer, the outdoor sofas are a comfortable option, but there is also an enclosed living room area which is more likely used during winter and wet weather. 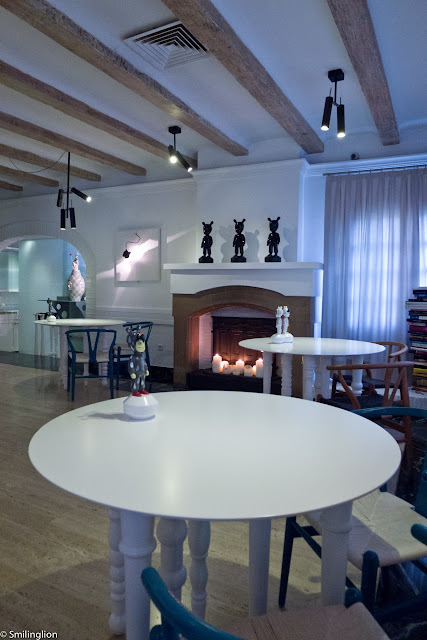 Formerly known as El Poblet, Quique Dacosta (which is both the name of the restaurant as well as its owner chef) is renowned for its innovative and creative use of regional produce, which given its location, naturally gravitates towards a heavy reliance of seafood. 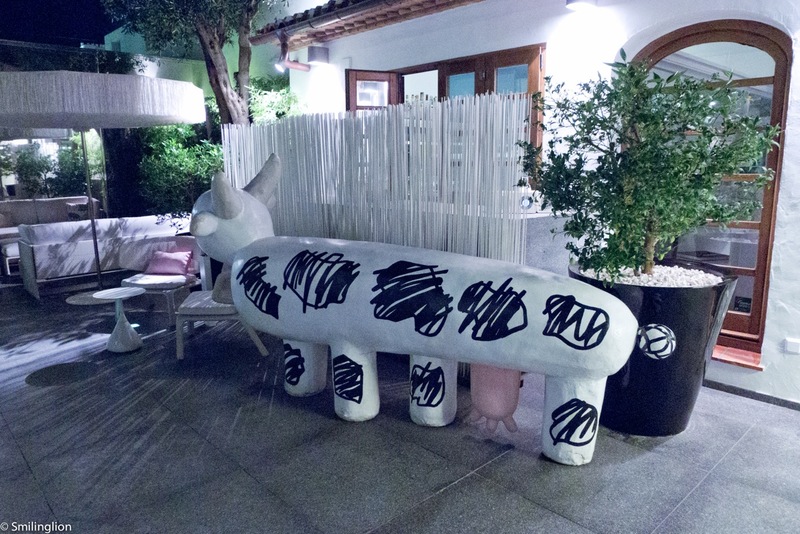 The restaurant also conceptualizes its meals as an experience beyond food, with a strong emphasis on the interaction between the guest, the environment and the food. 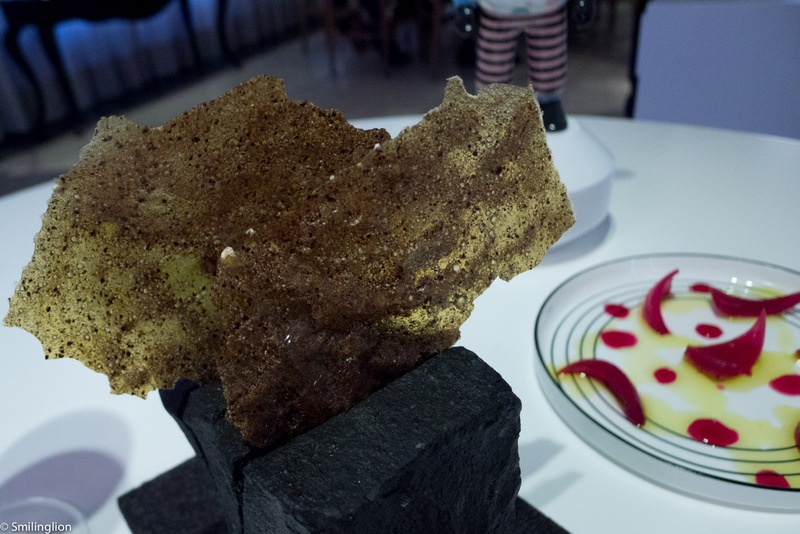 It sees itself as a spiritual successor of El Bulli. In many ways, it was inevitable that we would compare this restaurant to Mugaritz, another top Spanish restaurant which shared a common philosophy. But to judge one against the other would be unfair, as at a deeper level, their respective uniqueness was ascertainable. Of the two available menus, we opted for the classic and traditional one, which included Quique Dacosta's renowned and favourite creations. The first part of the meal was taken outside in the patio. The section labelled as snacks on the menu consisted of a sequence of clever creations. These were all quite visually interesting but we felt that they were quite hit and miss, and some were less impressive than others. 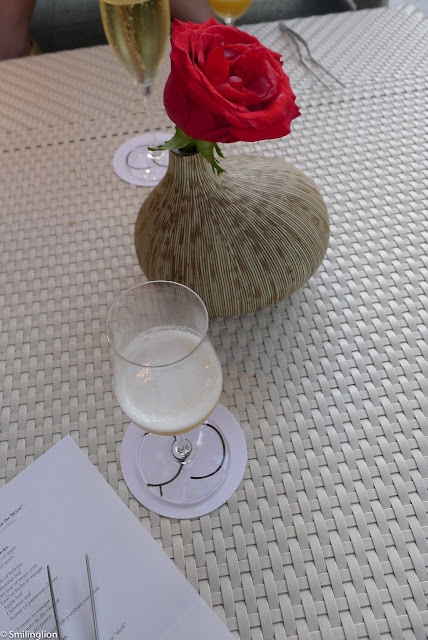 Gin tonic of apple: This was a carbonated apple juice, and we felt that the alcohol of the gin was barely discernible. It was quite refreshing though. Petals of roses: This was very interesting. 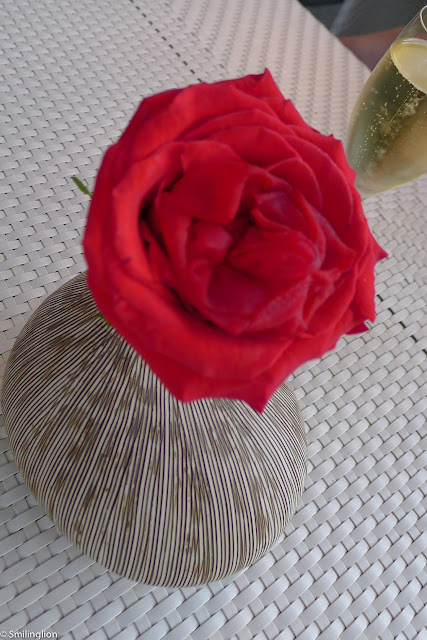 The inner petals of the large rose could be eaten (with the forceps). They were delicious dried apple slices. 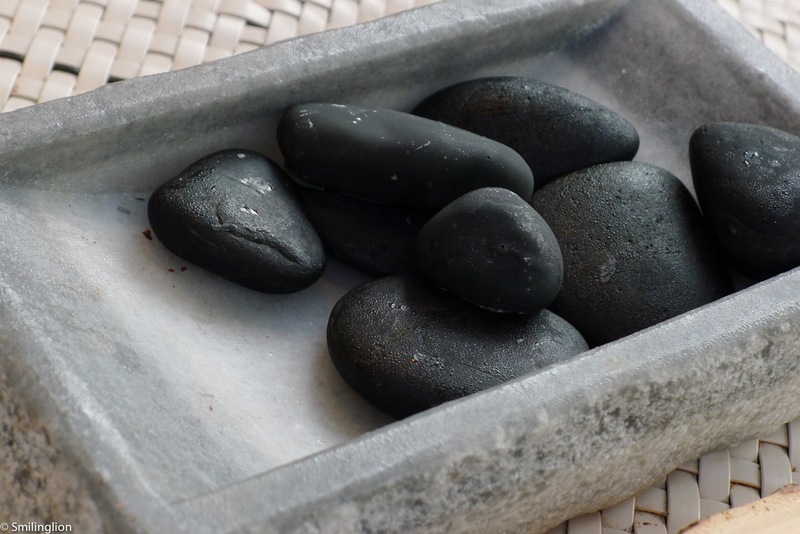 Stones of parmesan cheese: Amongst the black pebbles were two pieces of parmesan cheese coated in a thin black brittle shells, which when put into the mouth, broke easily to release the liquid parmesan. These were amazing. Dubonnet leaf, dry leaf of sweet corn, apple leaf, leaf of herbs in vinegar, chestnut leaf and roots of boletus: Aside from the crispy cracker, which was decent, the other leaves had interesting flavours but were mostly herbaceous or bitter. 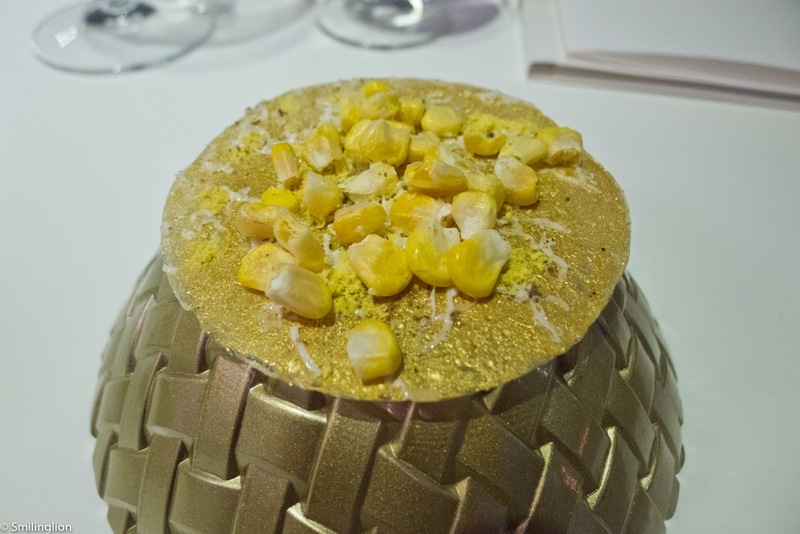 We didn't understand the idea behind this dish. 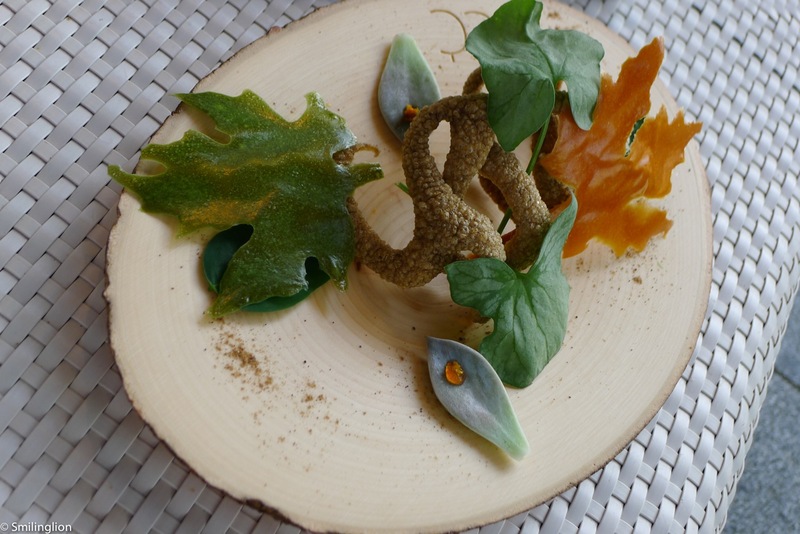 Raim del pastor: The leaf and branch were to be eaten, we didn't like this. This was another dish which baffled us. Tomato in vinegar, tomato in dry vinegar: This was average. It looked good but wasn't particularly special. They just tasted like sour tomatoes. 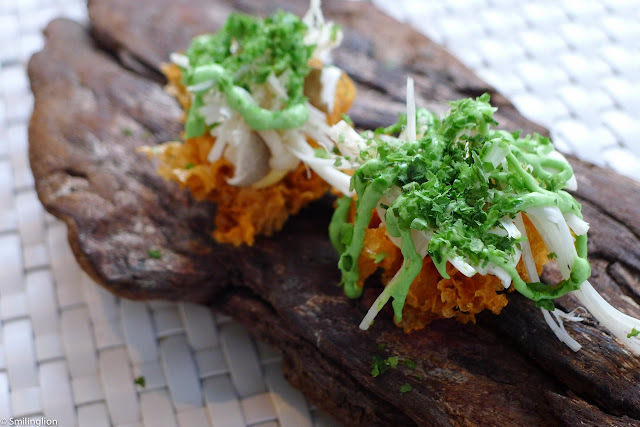 Lichen: The breaded crisp covered by parmesan shavings was quite good. After the snacks, we were led into the dining room. Throughout the snacks, we felt that we were being rushed into the dining room. It was perfect weather outdoors and we were enjoying our cava and snacks, but somehow, the entire service up to that point felt quite hurried. We would have preferred to have stayed outside much longer. Also, though the servers introduced each of the snacks, given the uniqueness of these snacks, we felt that they could have done a better job describing them and helping us to understand the context of each snack (especially the more unusual ones which on their own didn't really leave much of an impression on us). We loved the dining room. It was quirky (very much like the outdoor patio), brightly lit and the tables were quite well spaced. 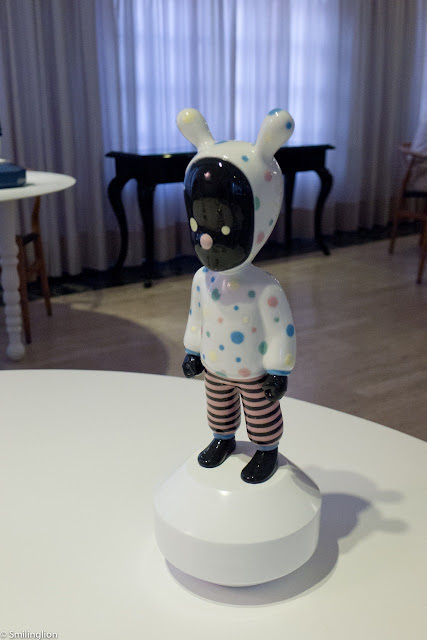 There were interesting porcelain and other art pieces throughout the room and the vibe was quite eclectic. Interestingly, the tables were bare and the chairs were no more than rattan chairs (surprising casual for a three Michelin star restaurant), though these did not affect our comfort throughout the evening. 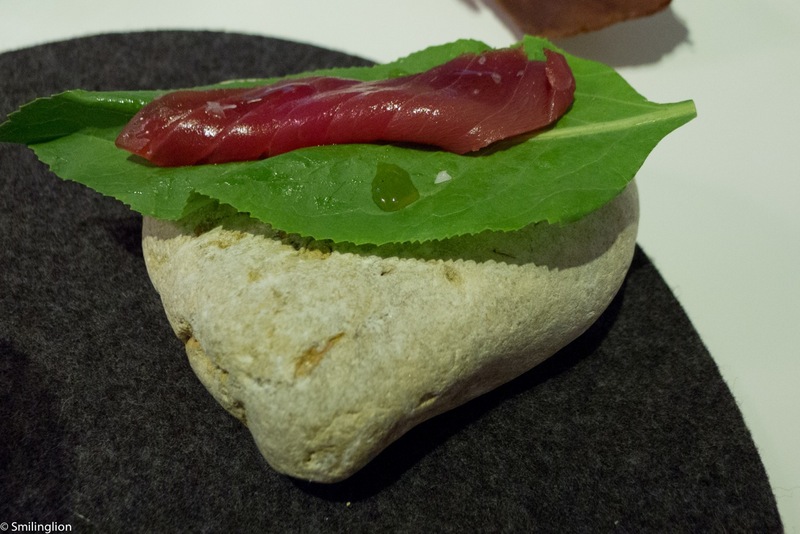 The second part of the meal was a series of dishes which followed the theme of tapas, i.e. 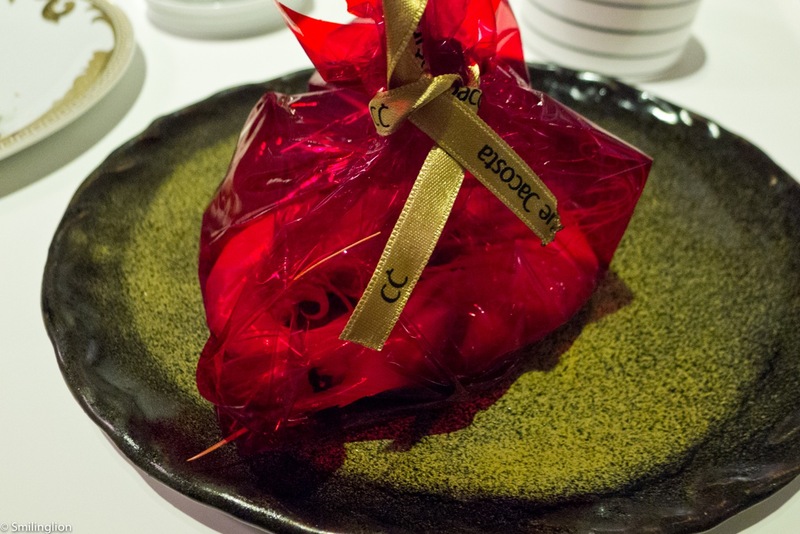 small dishes served concurrently to be shared by the table. It was notable that up to that point in the meal, and for most part of the tapas dishes, we had yet to be given proper cutlery and were expected to eat with our hands. 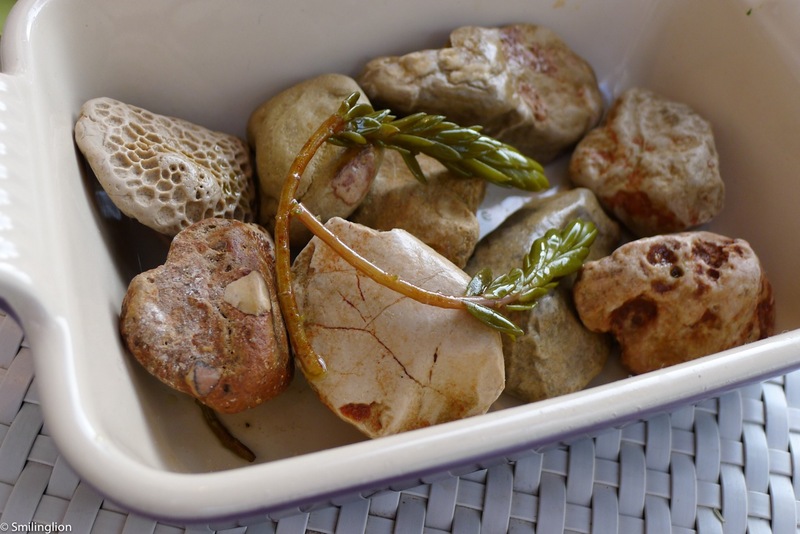 We thought it was very annoying to have to get our hands dirty for practically half of our meal (especially in a three Michelin star restaurant). It would have been a novelty to eat with our hands for one or two dishes but we did not like to find ourselves still picking food up with our fingers or with forceps almost halfway through dinner. Delicatessens (bonito, mullet, dry octopus): This was very good. We had to pick these up with forceps but the pieces of fish were full of flavour, and their distinctive tastes complemented each other. Paper of cereals: This was to be eaten by hand. It tasted like seaweed flavoured bread paper. 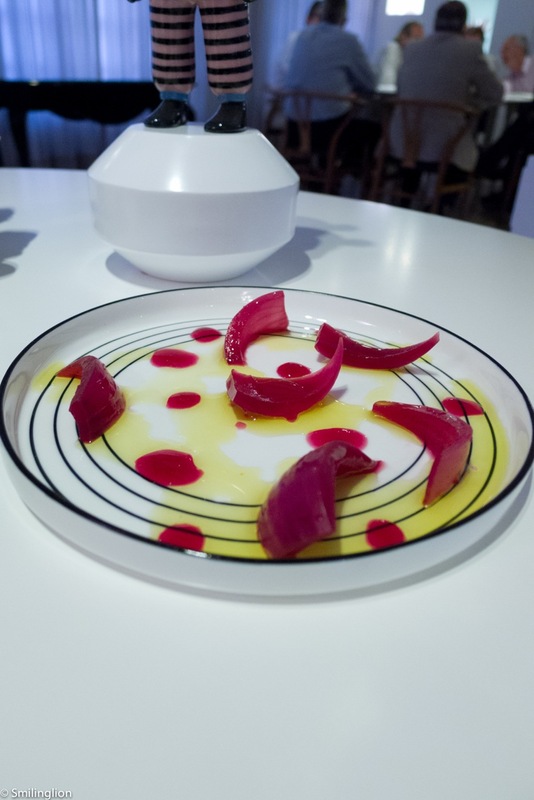 Onion in vinegar: At first bite, the onion was sweet, but after two or three pieces, the sourness of the vinegar kicked in and this served to overcome the fishy taste in our mouths after the earlier pieces of fish. Figs: This was the most interesting item in this quartet of tapas. 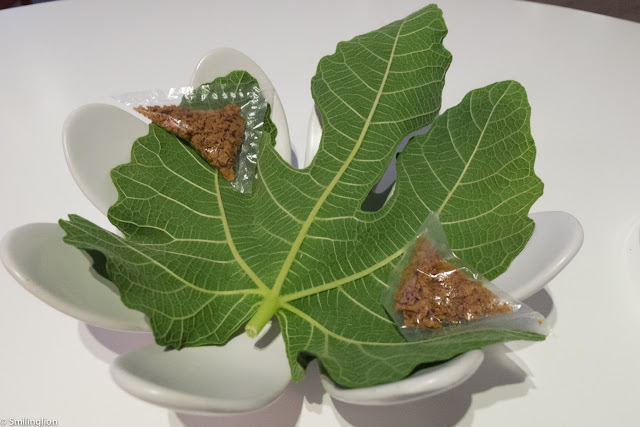 It was dried fig pieces in a dissolvable transparent wrapper which looked like plastic but melted in our mouths to release the fig. The fig was crunchy and very delicious. 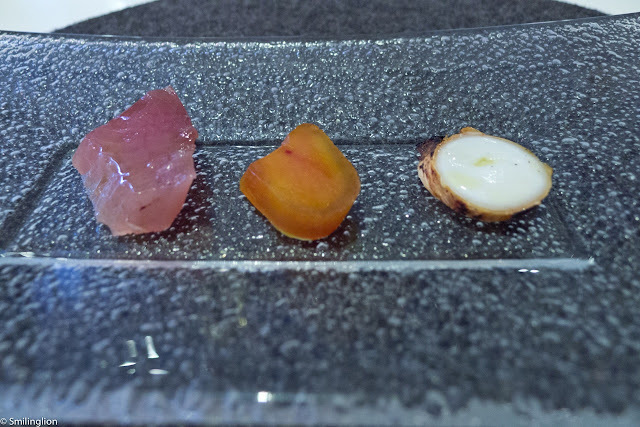 Upon chewing on the figs, it managed to neutralise the rather strong onion aftertaste lingering in our mouths after the previous onion tapas. 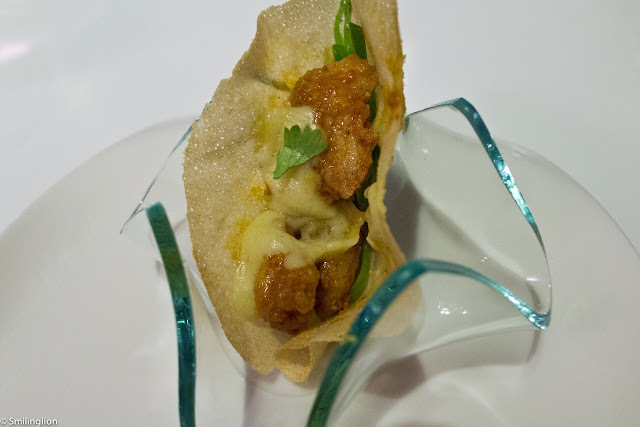 The tapas theme continued with the next sequence of dishes. Like the previous series, no cutlery was required. Some of these were rather messy to be eaten by hand and we found ourselves very inelegantly dropping pieces of them on the table while trying to handle them. Mary 2012: We loved this. It was a deconstructed Bloody Mary, and was a puck-sized thin casing containing tomato juice which was to be picked up by hand and eaten (we thought it could have been more alcoholic though, this seemed to be the problem with their deconstructed cocktail creations). With the tomato flavours still fresh in the mouth, we were to pick up the celery stick and chew on it. Dove nest 2010: Another pretty dish. 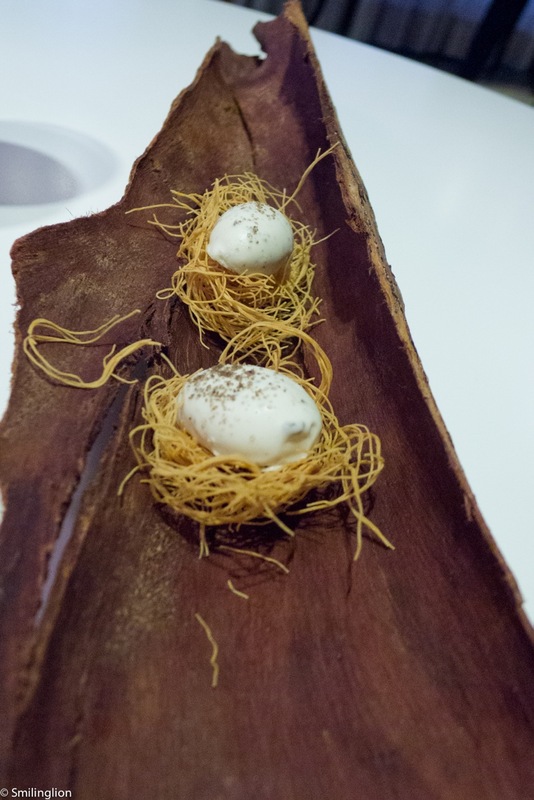 the dove egg lookalike contained brown butter and sat on a bed of dried pasta. This was a bit of a mess to eat but was quite good. Pepperwort 2012: Another special creation was the smoked tuna wrapped with the pepperwort which tasted uncannily like wasabi, the Japanese mustard. When eaten together, it brought to mind eating maguro sashimi with wasabi and soya sauce (brought out by the smoked flavour of the fish). Pesto: The restaurant was generous to give us three tapas dishes from the other menu. The 'pesto' in particular was very impressive. It was like a taco with some filling and topped with parmesan shavings which when eaten whole brought to mind the same flavours as eating a pesto pasta. Our only complaint was that it was a rather large portion and had to somehow fit whole in our mouths, otherwise it could get rather messy trying to eat it in two bites. 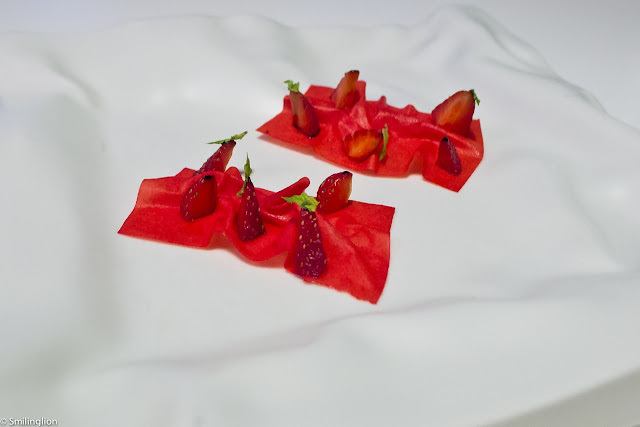 Crepe of strawberries: The sweet and slightly sour thin cripsy crepe was quite delightful as a palate cleanser. 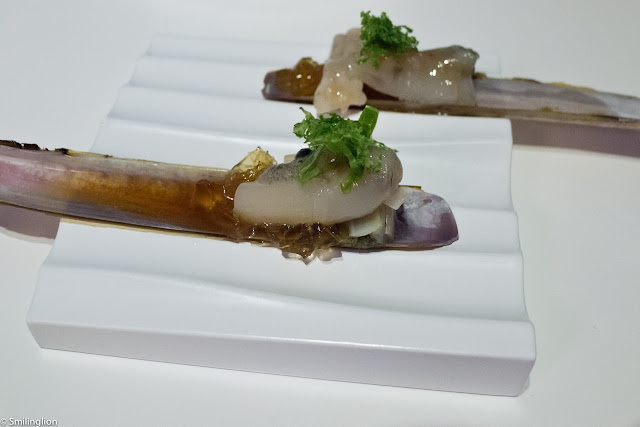 Razor clams: This was quite normal. We did not remember much about it. 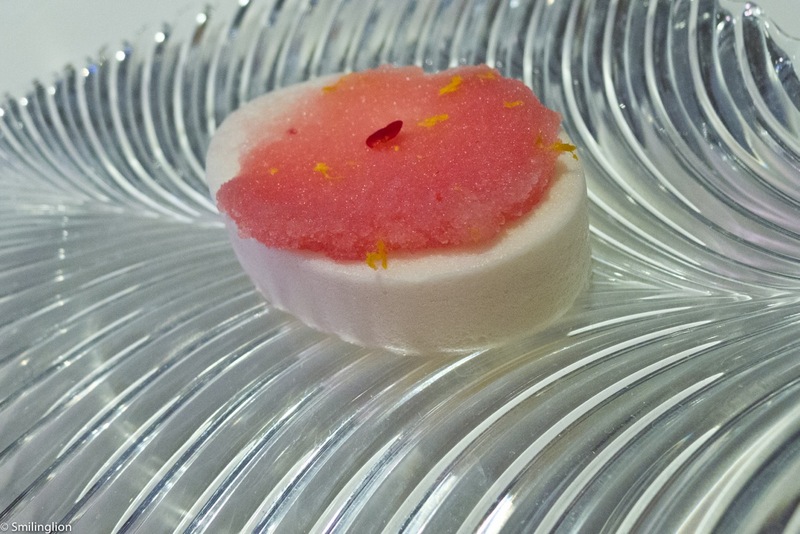 Apple tart 2012: This was an interesting meringue and marshmallow with a campari granita on top. It was a good contrast of sweet (the meringue) and the bitter (the campari) and was quite refreshing. However, for the life of us, we did not understand how this was the deconstructed apple tart, and neither did the server explain to us. 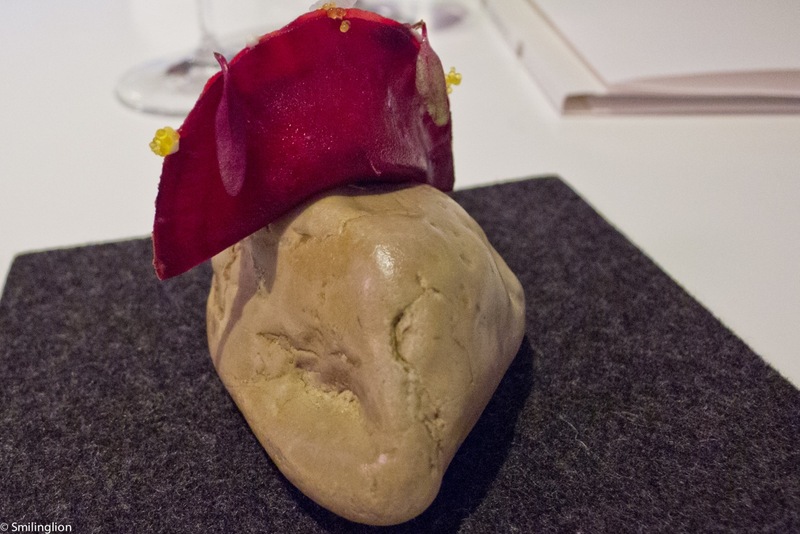 Ravioli of beetroot and crab 2012: We thought the beetroot ravioli was sitting on a raw duck liver but fortunately it was only a stone prop. The beetroot ravioli was stuffed with crabmeat and was very good. Mediterranean taco: This was the restaurant's version of a taco and was quite delicious. However, we had to eat it by hand and it was quite greasy, and that was not very pleasant. Moreover, it was quite a difficult taco to eat in one mouthful and once again we caused quite a mess eating it. Coca of sweet corn 2011: This gold disk with sweetcorn was also quite delicious but also very difficult to eat by hand. I ended up breaking it accidentally and had to pick pieces of it off the table to eat. Just when we started to get irritated with the way we were eating our food, the proper food served with proper cutlery arrived. 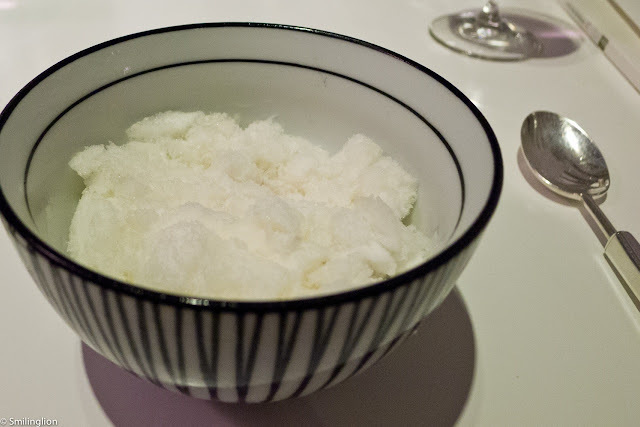 The water of dry tomatoes 2011: A bowl of white snow, this was a very interesting and provocative deconstructed tomato dish. 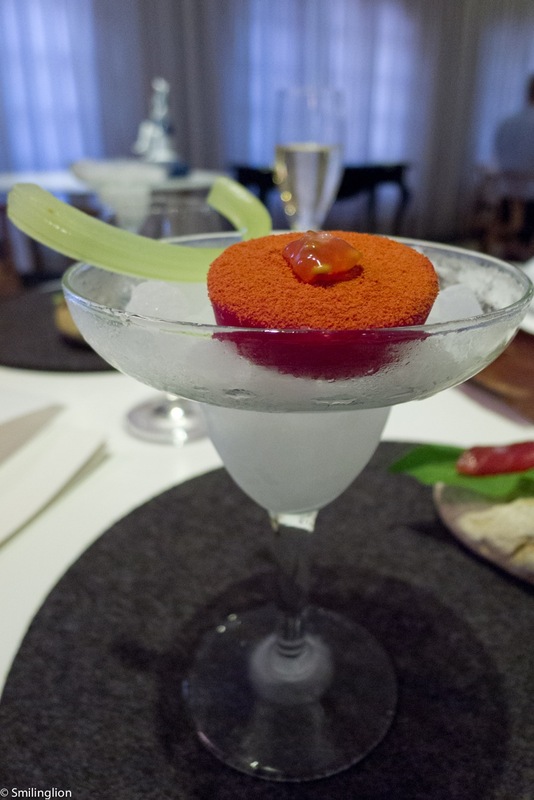 The white snow was shavings of frozen tomato essence and there were chunks of tomato at the bottom. Cold soup of cherries 2002: The cold soup had a very strong flavour and overwhelmed the otherwise sweet taste of the prawns. 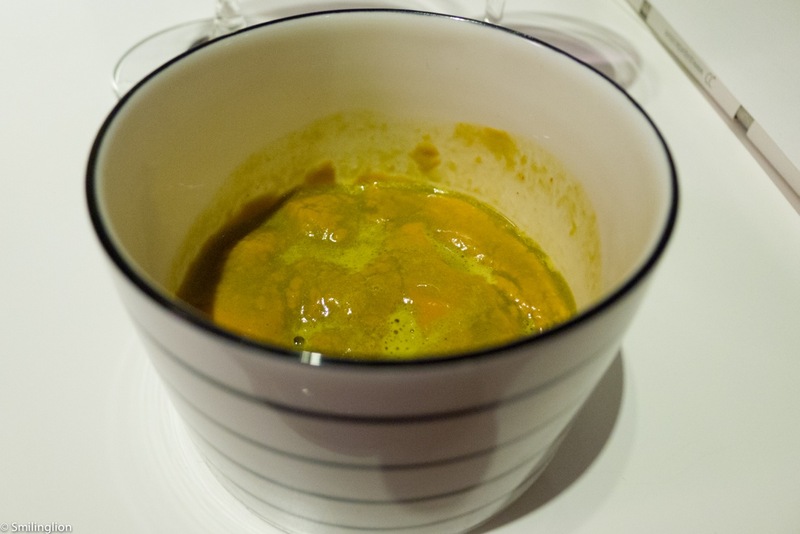 Half the portion of the soup in this dish would have been perfect. 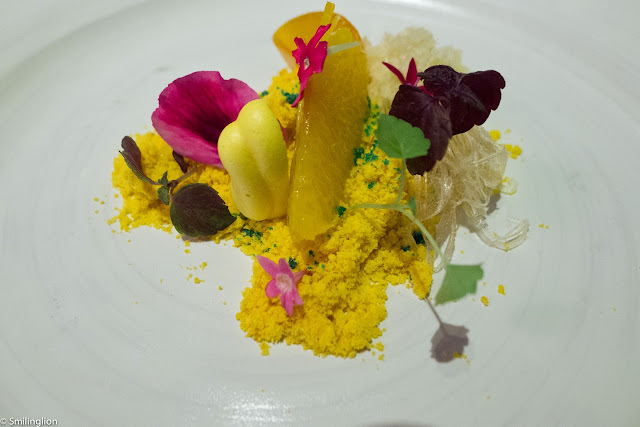 Cubalibre de foie gras with lemon granite and rocket 2001: This was reminiscent of the classic 'Memories' at Andre (which we had a fortnight ago in Singapore) in the way it was prepared. We thought that there was an acidity in this dish which gave it sophistication and made it superior to that at Andre. 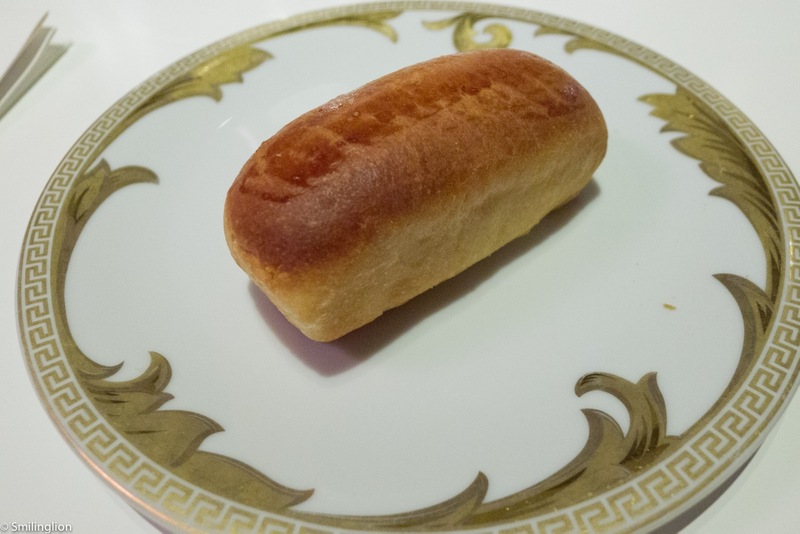 Moreover, they served a small loaf of brioche to mop up the foie gras at the bottom of the bowl. 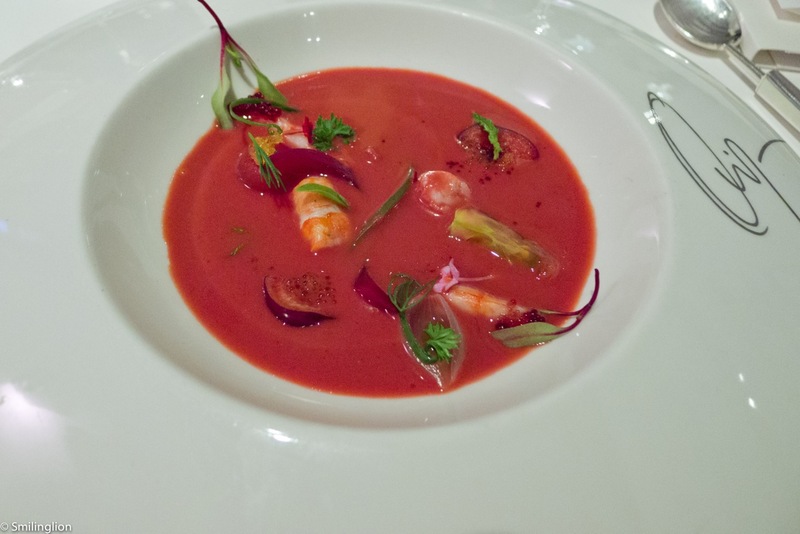 Red king prawn from Denia, boiled, tea of chards: This was the dish we were waiting for. 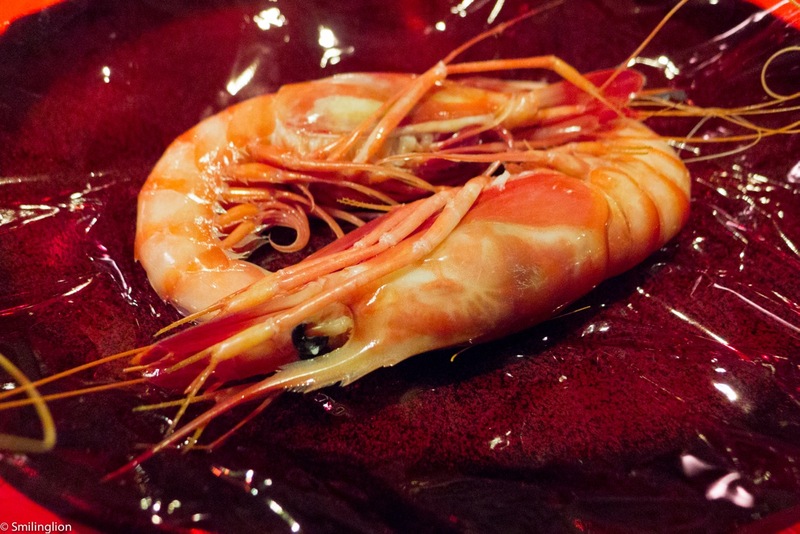 The speciality of the Denia region is its prawn and this would be a staple in the Quique Dacosta menu. This was served to us wrapped in cellophane. 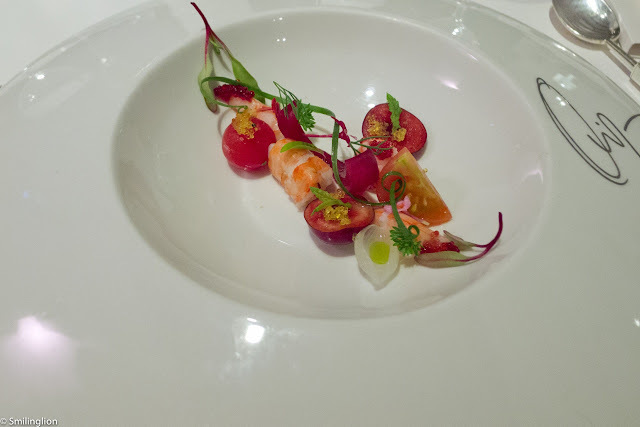 Inside were two large Denia prawns which were as we remembered them: with intense umami and sweet flavours. Our only regret was that there wasn't more of it. Accompanying it was a cup of thick prawn stock (to be drunk) which we felt wasn't necessary for this dish. 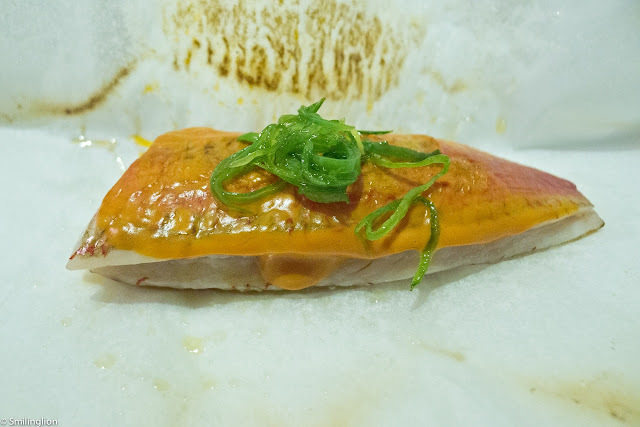 Red mullet with incrustation of its guts and eucalyptus 2011: The piece of fish came wrapped in baking paper (in which it was surely cooked). 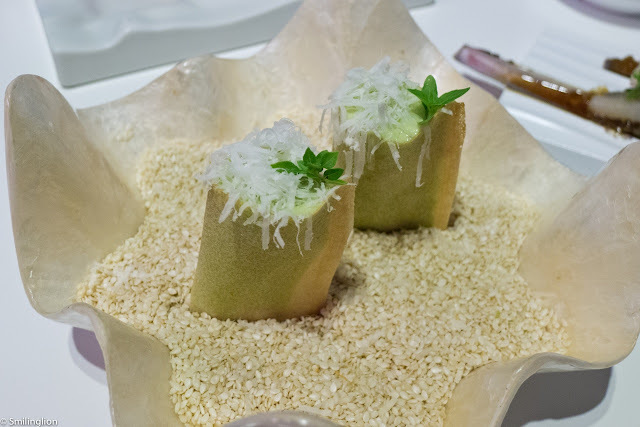 The server, with a brush, covered it with a layer of puree which we thought was the incrustation of the fish guts, and topped it with slices of eucalyptus leaves. We felt that the fish was too salty (we were not sure if this was the result of the puree), and though the unique flavour of the eucalyptus went some way to neutralise it, we still felt that this dish was over-salted. Rice "senia" ashes 2008: This was quite a large portion of rice (we struggled to finish it). 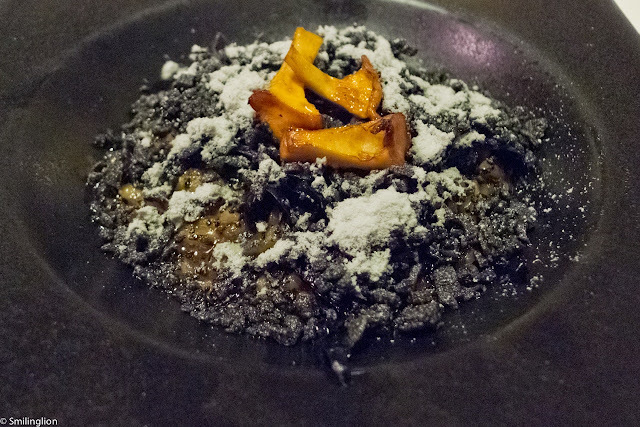 It was quite good, with the smoked black truffles (which looked like charred ash) and chanterelle mushrooms adding much flavour to it. 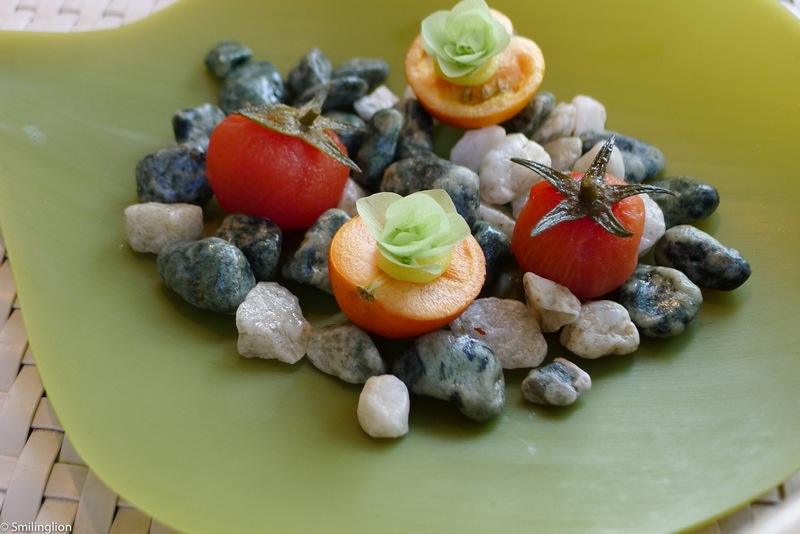 Citrus field 2005: The first dessert was a slice of orange on a bed of dehydrated orange 'sand' accompanied by flowers. It was quite average and we felt that there was too much of the 'sand'. We got bored eating it after a while. 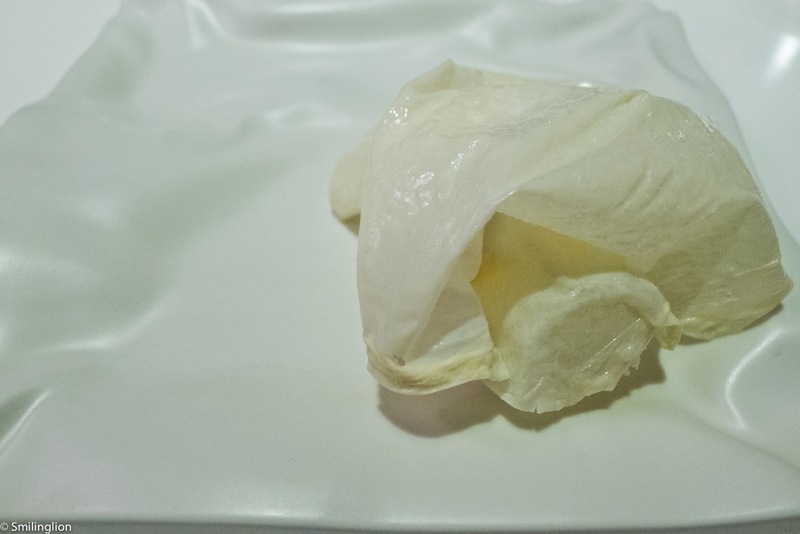 Milk 2009: A classic Spanish dessert, this was a crispy wrapping of milk (I think this was made with the layer of milk which forms at the top when allowed to settle) with milk-soaked lady fingers biscuits inside. I liked it but my wife didn't. Crocante of almonds, truffle of rum, gold stones: After our dessert, we were given the option to have our coffee/tea outdoors again, which we took. It was very relaxing outside under the starry sky with the cool summer breeze. 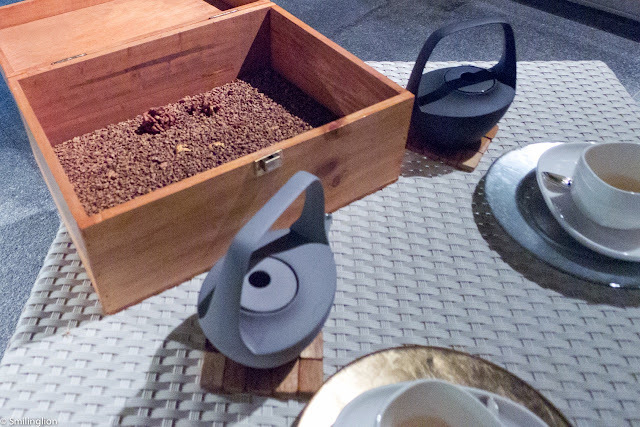 The mignardises was a wooden box of a variety of chocolate, which was again reminiscent of the chocolates at Mugaritz. Final Thoughts: This was an enigmatic meal. There were elements of it which were top class but somehow the entire experience did not match up to our expectations. The key reason was that we felt rushed the entire meal. Yes, the food came out very quickly which ordinarily was a good thing, but in this case, given that the chef was trying to demonstrate a dining philosophy rather than just the food, we felt that more effort should have been made by the staff to explain the dishes in greater detail so as to create a context against which we could have understood the meal better. This is not to say that the service was not good, on the contrary, the service would have been considered excellent in a top fine-dining restaurant serving more mainstream food, but in a restaurant like Quique Dacosta where the cuisine was experimental and innovative, we felt that they needed to do more to help bridge the gap between the perceptions of the diners and the vision of the chef. Thanks for the review. It’s a place I am planning to visit on the long run. It is interesting to observe that there seem to be way too many items --- like the Raim del pastor, the precedent collection of leaves, the vinegary tomatoes– that diminished (given their lack of enjoyment) your general appreciation of the food performance and that obviously suffered from a lack of verbiage. 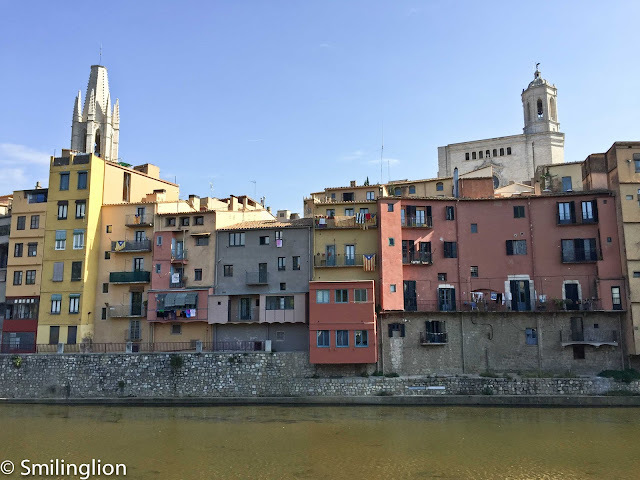 The Raim del pastor, in particular, was probably a visual ‘clin d’oeil’ to their surroundings (for eg, reference to the seagrass of the Mediterranean Sea), but they seem to have missed the opportunity to use a bit of theater around it. You are right: this is the type of performance that needs to be introduced vocally. As for using forcipes as utensils, well…I do not know how I’d deal with that, given how unappetizing the idea appears to me. But I gather that it’s using the hands continually that was even more annoying to you. Talking about devices, I think the use of Blumenthal’s sound of the sea would have been appropriate for what Quique is trying to convey. Much more relevant to his cooking philosophy than the use of those forcipes. That's what we suspected; there were certain dishes which needed more explanation as we did not understand the context. There must have been a story behind the leaves, otherwise it was just eating bitter leaves. 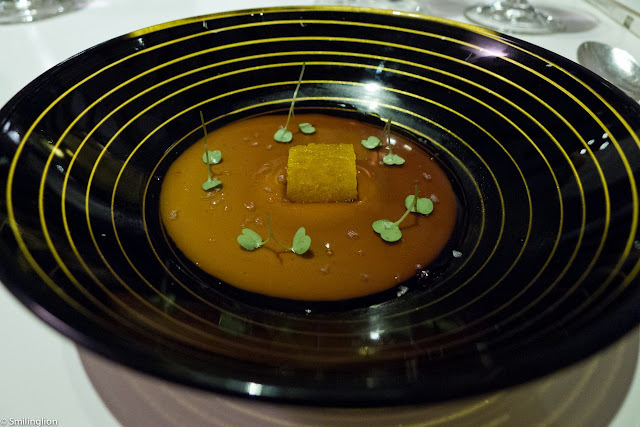 As we have realized, this genre of cuisine probably requires that the staff put up as much of a performance as the kitchen does, and this is something which Mugaritz did well when we were there. I really like the presentation of the food. The only thing I would not have tried would be the mullet. The description doesn't make ti sound appealing to me and besides, I tend to prefer fish roasted or fried. Moist servings of fish don't usually appeal to me. Thanks for sharing your meal recap.